No matter whether you’re moving down the street or across the country, moving house can be stressful. Use our handy moving tips to minimize the hassle and have a safe and stress free move! Packing in a rush makes moving house all the more stressful, plus it can lead to carelessness when packing more fragile belongings. Your moving company will be able to provide you with good quality moving boxes. 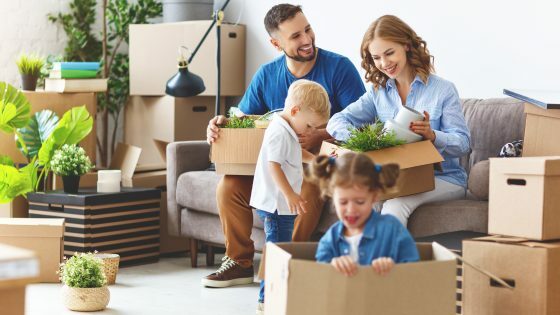 Alternatively, buy a moving kit from a home improvement store or online box supplier – do not use boxes from the supermarket or local dumpsters – they are designed for specific items and are not strong enough for heavier household items. Here is a useful list of moving box types and how to pack them. Moving house involves your most valuable possessions, make sure you get the right materials to pack and safeguard your items inside boxes. Use bubble wrap and white packing paper to wrap any items that are breakable or can be scratched while moving. Also use good packing tape to secure the boxes. Label all boxes by number, the room it goes to in the new house and a general description of what’s inside On a separate sheet of paper write down details of everything that goes into each box. This makes unpacking much simpler, and is useful to have if any boxes go missing. To lower your moving costs, you’ll want to pack as much as you can into as few boxes as possible. Consider filling up gaps with towels and clothes, which also act as great insulation. Important note: don’t make boxes too heavy – heavy boxes are more difficult to carry, more likely to drop and more likely to break apart. Roll your clothing into sausages for packing. It’ll take up much less space than folded clothes. Any flammable or toxic items should probably be disposed of and not packed inside boxes where there could be heat, cold or stress – you should not pack things like toxic cleaning materials, bleach, propane tanks, gasoline, paint thinners, lighter fluid or similar items. Once you’re in your new home, you don’t want to be fishing through boxes to find the coffee. 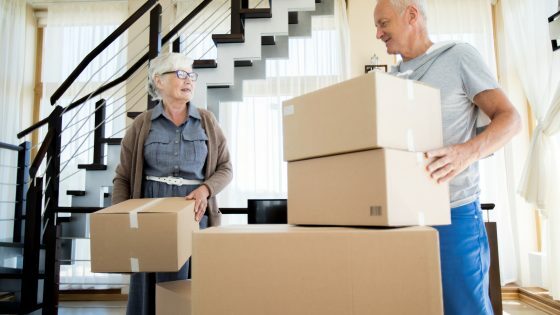 Pack a box with things you’ll need or want before you begin unpacking properly – such as a kettle, tea and coffee, mugs, cleaning equipment and if it’s winter, a snow shovel. Isaac’s Moving & Storage are reliable and experienced movers with a proven track record, and can offer services and advice every step of the way – from packing tips to moving day. If you’re moving house and need the services of a reputable moving company, contact Isaac’s Moving & Storage today for a free quote.